RFID technology works with either Passive or Active tags. If you are working with a passive system, IMS can provide pricing for the leading brand names like: Unitech, Motorola, and Intermec. Below are a few selections compatible with NoxVAult RFID software and RedBeam RFID Asset Tracking. 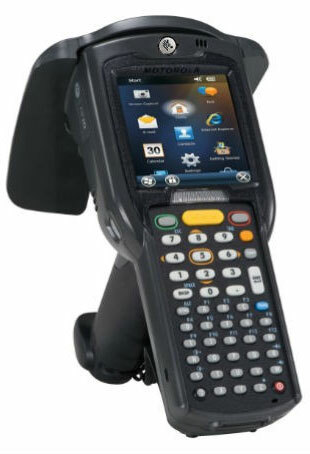 The Motorola MC3190-Z is a business-class handheld RFID reader designed specifically to extend the benefits of RFID beyond industrial spaces and into customer-facing and business environments. It starts with the signature rugged design and high performance that Motorola industrial handhelds are known for, and adds an advanced, high efficiency Motorola RFID reader engine for faster read rates and higher throughput.